The hits just keep coming for UA. Yesterday it was revealed that a full-fare, first class pax travelling from Hawaii to California was threatened with handcuffs as he refused to get off an overbooked plane in favour of a “more important” pax who showed up at the last minute. 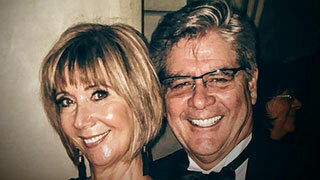 "While I was eating, something fell in my hair from the overhead above me," said Richard Bell, who was travelling home from Houston on Sunday with his wife, Linda. "I picked it up, and it was a scorpion. And I was holding it out by the tail, so it couldn't really sting me then." That's when a fellow passenger told Bell the bug was potentially quite dangerous, he said. "So I dropped it on my plate and then I went to pick it up again (great idea! ), and that's when it stung me. It got my nail, mostly." Bell flicked the scorpion onto the floor, where a flight attendant covered it with a cup. "Then we got out of our seats and stepped on it. And then the flight attendants threw it in the restroom," he said. Airline staff quickly made calls to try to determine how poisonous the scorpion was, Bell said. (Though that would be difficult to ascertain after the dead bug had been flushed). A nurse who happened to be on board gave Bell Demerol as a precaution. The plane was met by EMS and Border Services agents, who were anxious to inspect the scorpion. However, the evidence had been flushed. Bell was taken to hospital and told he would be fine. He would, however, like to receive some compensation for his ordeal — a travel credit perhaps.Since there was no real harm done, Bell says he has no plans for a lawsuit. "It's just one of those things that happens, right," he said. Bell said he suspects the scorpion was hiding in a guitar belonging to some travellers who had just returned from Guatemala or Honduras. And as we all know, when you’re flying UA, you have to carry-on your instruments, because United Breaks Guitars.